Cities are ecosystems determined by human, non-human biotic and environmental forces. Dharavi, one of Mumbai’s largest slums and exemplar of prevailing urbanizing forces, has been targeted for redevelopment using a traditional, growth model for economic planning. Under that rubric, Dharavi’s complex social benefits are downplayed and its environmental problems are leveraged toward homogenizing gentrification that will displace hundreds of thousands of citizens as well as undermine livelihoods and critical infrastructure for the whole city. 80% of Mumbai’s plastic waste is sorted, shredded, washed and repurposed in the 13th Compound! Why lose that? Dharavi’s vertically diverse economy contributes $600M to Mumbai! Why lose that? We counter that scenario by asserting the irreplaceable role Dharavi plays within Mumbai as an arena of vertical social mobility and economic operations. 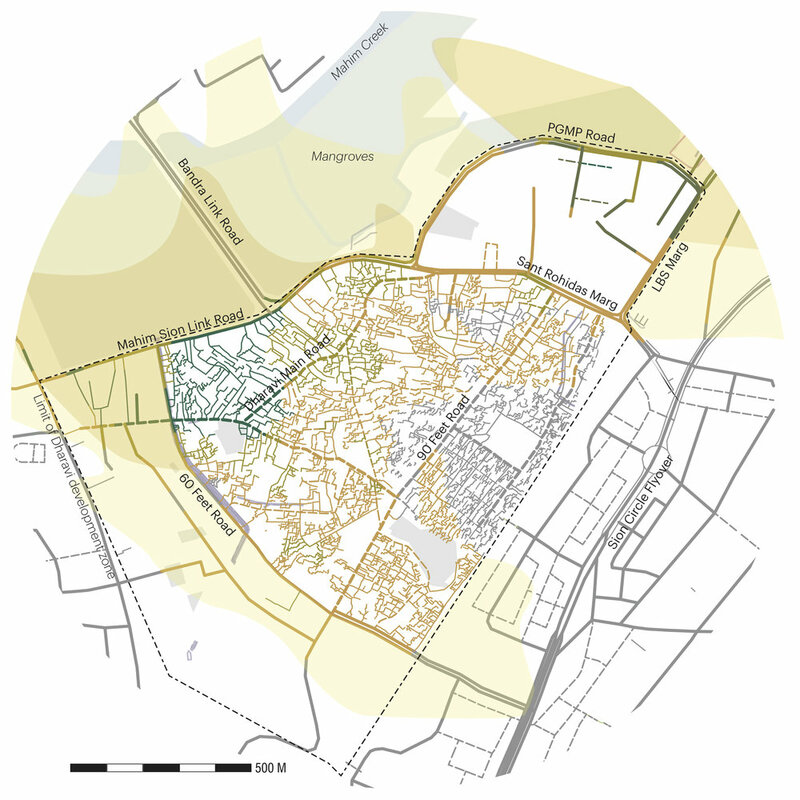 We present research to reveal Dharavi as a complex, variable terrain of industrial contamination that does not require erasure to be “clean.” Using data analysis to locate areas in need of remediation, the proposal enables bottom-up implementation of remediation infrastructures for liquid and gaseous industrial contaminants. Public health and livability can be retrofitted within the existing road, street, and lane infrastructure by installing a modular waste management network that also accommodates new street front latrines.